CATEGORY Retail Forum is a one day event designed to provide data for the development of FMCG market. The fourth edition of Category Retail Forum will follow the process of purchasing with a focus on the drivers that affect consumers’ decision to buy a certain brand. 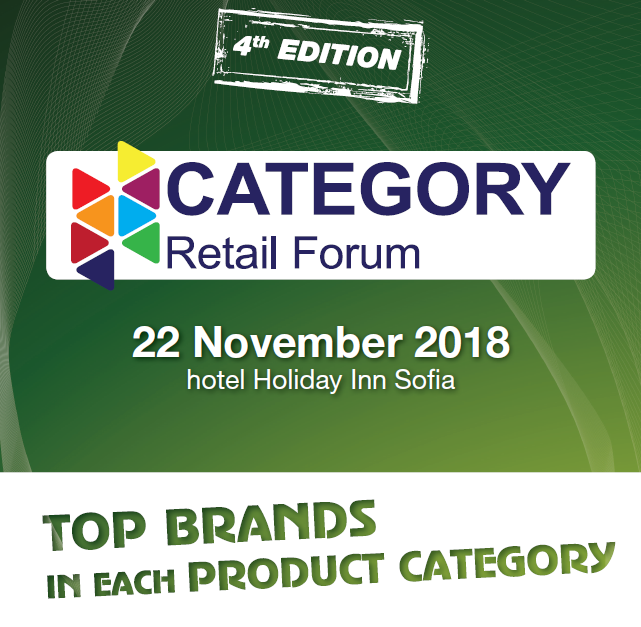 Category Retail Forum’s fourth edition will take place on the 22nd of November at the Holiday Inn® Hotel in Business Park Sofia.